I love books (obviously). You probably love books. Can we agree that free books that you get to keep forever are a good idea? Okay, great. I’ve got a couple of tips for you: there are free books out there for the taking, all summer long. Let’s go. 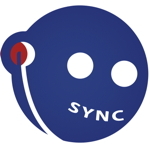 AudioFile’s SYNC program allows you to download TWO audiobooks per week over the course of the summer, starting today. The program pairs a young adult book with a “classic,” and this year’s titles include the just-optioned-for-TV Shadowshaper and award-winning bestseller Between Shades of Gray, among others. Tor.com’s eBook of the Month Club allows you to download the selected ebook each month – you’ll get an email reminder to download the book when it becomes available. This offer is good for every month, not just the summer! Selections are drawn from the Tor/Macmillan list, and are a mix of adult science fiction and fantasy (usually really great SFF, at that!). Barnes & Noble’s Summer Reading Program allows kids in grades 1-6 (ages 6-12) to claim a free book at a Barnes & Noble store between May 16th & September 5th. Kids need to read any eight books and record them in a B&N-provided Summer Reading Journal, along with what their favorite part of each book was, and why. Once they present a completed journal at a B&N store during the claim period, they can select a free book from the list on the back of the journal. Do you know of any other ways to claim free books? Let me know!